A Mens Prince of Thieves Costume including a Shirt, Belt, Quiver, Gloves, and Boot Covers – Ideal for a Fairy Tale theme, or any fancy dress occasion! Transform yourself with this Mens Prince of Thieves Costume. The Mens Prince of Thieves Costume includes a Shirt, Belt, Quiver, Gloves, and Boot Covers. This long sleeve Shirt features a lace up front and faux leather details, a green suede effect, and brown sleeves with a grey chainmail effect. The Mens Prince of Thieves Costume also includes a black Belt, a Black Quiver, a pair of brown fingerless Gloves with a lace up detail, and a pair of brown Boot Covers to complete this fantastic look! 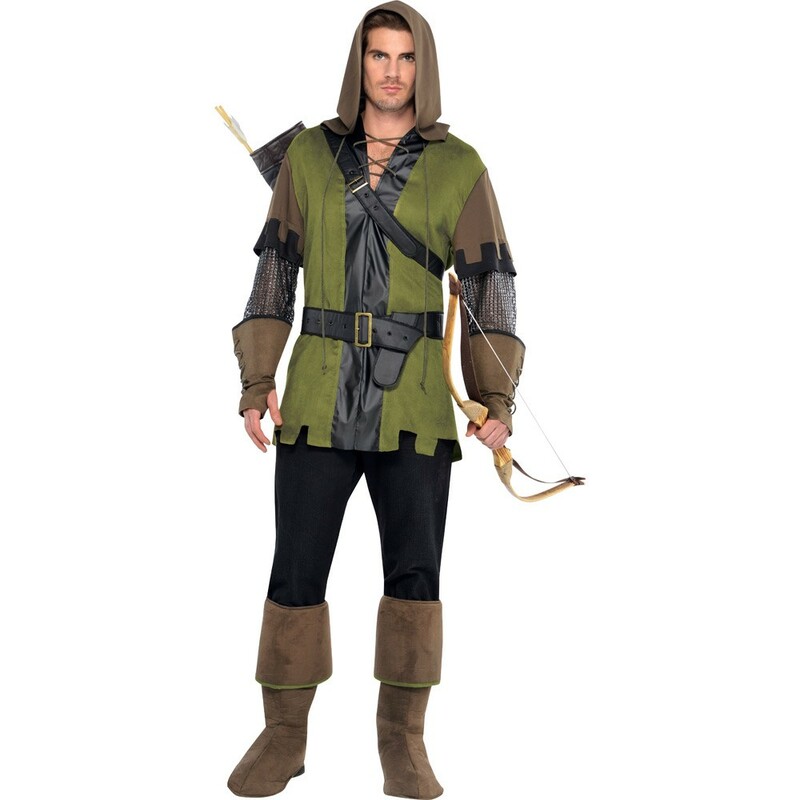 Perfect for a Fairy Tale theme, a TV & Film theme, Book Week, a Historical theme, or any fancy dress occasion, you’ll be sure to stand out from the crowds with this Mens Prince of Thieves Costume! So look the part with this brilliant Mens Prince of Thieves Costume! Size guidelines: to fit approximately up to a 41” Chest. A Mens Prince of Thieves Costume.